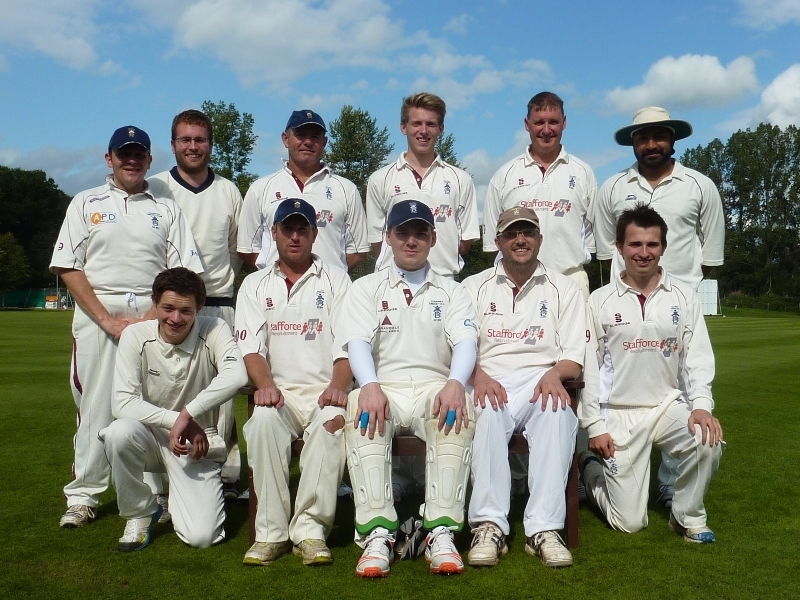 Stafforce Recruitment Dumfries lost their final Western Premier match by five wickets away at Clydesdale, who were crowned league winners last week, to finish fifth in the table. Asked to bat first, Dumfries got off to a great start at 93 for no wicket thanks to a fine innings of 60 from Stuart Corbett-Byers and 25 from Drew Dawson. However a match winning performance by Scotland off-spinner, and Clydesdale skipper, Majid Haq then brought Dumfries down to 156 all out as he bowled an excellent spell to take 8 wickets for just 20 runs off 15 overs. In reply Clydesdale were 64 for 3 thanks to two wickets from spinner Scott Beveridge and an lbw from Alan Davidson. However opener Haq, again, contributed 48, until run out by a brilliant direct hit from Chris Bellwood, and then Page with 60 not out saw the home side through to a five wicket win. The Nunholm players voted keeper Stuart Corbett-Byers as the Dumfries Lakeland Fluid Power Man of the Match for his top score effort but Haq was definitely the game’s Man of the Match on the day he lifted the league trophy for his side. In the parallel match in the Western Premier Reserve League the home side Nunholm gave Clydesdale 2nds, Titwood, a fright with the visitors needing a win to claim the Reserve league title also. That was despite a below par Nunholm total of 87 with Davie Davidson the top scorer with 38. A good bowling and fielding effort in the field by Nunholm then had their opponents 7 wickets down for 66. However the eighth wicket pair edged Titwood over the line with the WEB Engineering Nunholm Man of the Match, Stuart Alexander, taking four of the wickets to fall. With no league fixtures this weekend it is only sixteen year old Chris McBride of the Dumfries players who still has league commitments, for Durham Cricket Academy in the North-East Premier League, after he shared in a 63 run opening partnership in their match last Saturday. During the week Dumfries U12s won a well contested match against a Carlisle U11 side with Aiden Goodin and Sean Thornely-Kyle picking up two wickets before the side successfully chased their total of 77 to win. For information about Dumfries Cricket Club see www.dumfriescricketclub.co.uk, Facebook(/dumfriescricketclub), Twitter(@dumfriescricket) or contact the Club on dumfriescricketclub@gmail.com, 07799 856094.